Pinnacle offers select people the opportunity to place a new sailboat into our Chicago Fleet through our Premier Ownership Program. Only new sailboats purchased through Pinnacle in the 38 – 45 foot range are considered for this program. With our superb twenty-year reputation and extensive relationships, we will assist you to procure, finance, and resell your yacht, if you like — providing the best possible ownership deal for you. 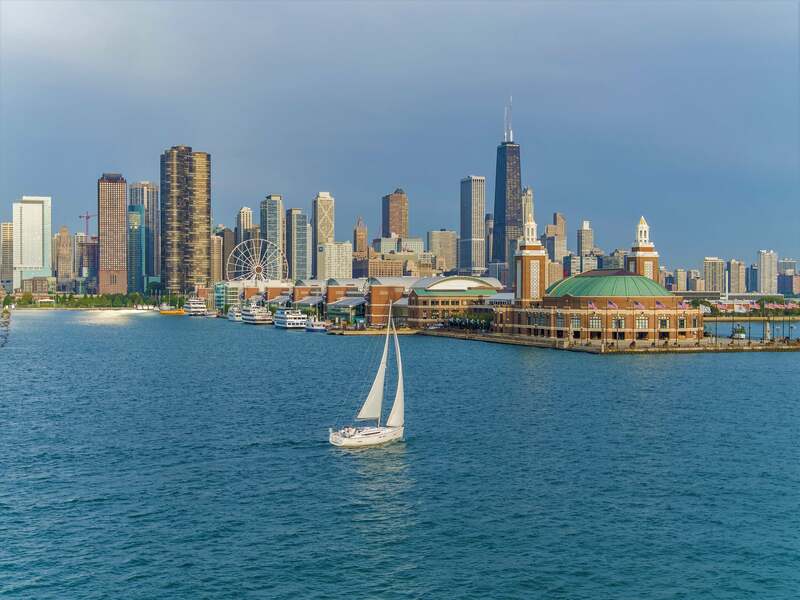 Your yacht will be docked in one of Chicago’s finest marinas, available for your personal use across the entire sailing season. You will have an abundant allocation of time to use your yacht for day trips, weekend getaways and week-long excursions. Pinnacle will pay you a generous fixed amount each month. This payment will substantially offset the mortgage that you may carry on the yacht while it is in the program. Pinnacle will pay all operating expenses for your yacht, including dockage, winter storage, fuel, insurance and maintenance. Pinnacle’s staff of full-time, year-round maintenance technicians will tend to every aspect of your yacht. Both in-season, and off-season, we will see that your boat is maintained to the highest standards. Pinnacle requires that every new Member completes our extensive on-the-water training course taught by USCG Licensed Masters. We take training very seriously to assure the safety of our Members, and of your yacht. Participation in the Premier Ownership Program is limited. Please call Barb at (312) 896-0777 x 1 to schedule a discussion.